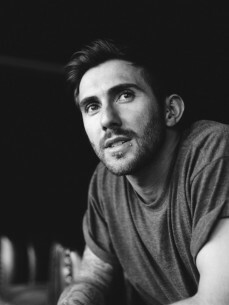 Daley Padley, also known as Hot Since 82 is a 30-year old British DJ and house music producer currently based in Leeds, UK. He has been releasing music under the Hot Since 82 moniker since 2012. His music has been rapidly gaining in popularity, with Mixmag Magazine describing his progression in the house scene as "meteoric." In 2010, Padley was attending an Ibiza afterparty when the music suddenly cut out. He plugged his iPhone into the party's speakers, and incidentally, one of his works-in-progress came on. Though Padley had admittedly not made the track with the intent of releasing it, reactions at the party were roundly positive, causing him to contact his friend Danish DJ/Producer Noir, who runs the record label Noir Recordings. Noir was impressed, and released it on his label. 'Let It Ride’ came out on Noir Music on September 5, 2011, hitting number three on Beatport's deep house chart. Thus, Hot Since 82 was born.